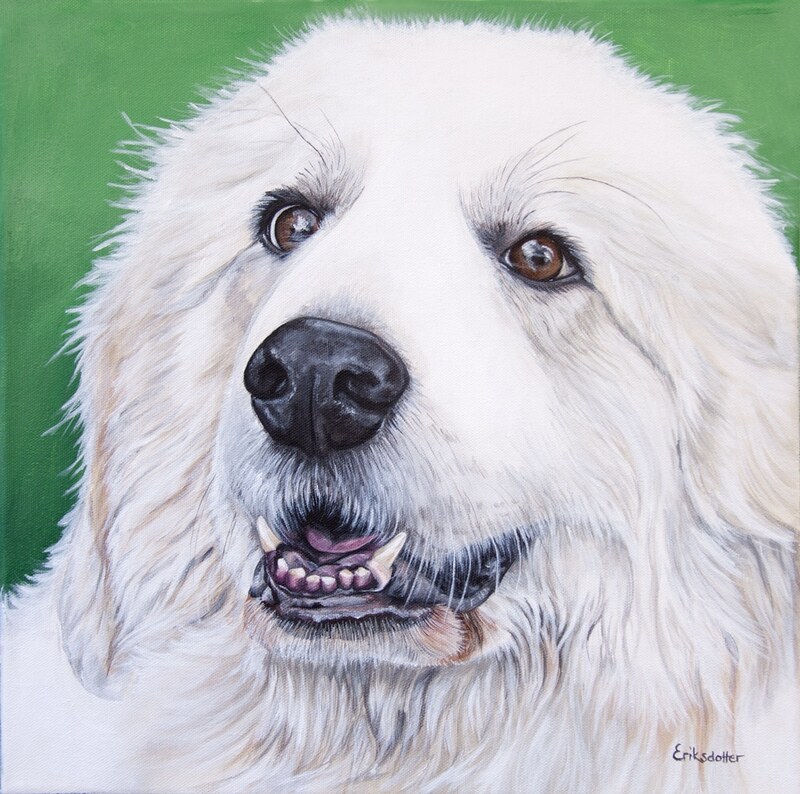 Fanny’s portrait is an original pet portrait commissioned by a client in Virginia. 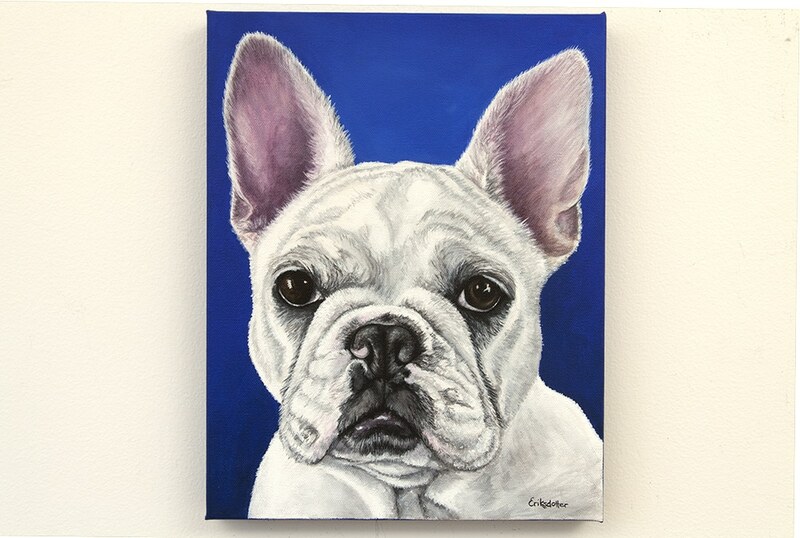 He wanted to surprise his wife for Christmas and thought a portrait of their french bulldog puppy would be just the ticket, and he was right. During the process, he shared with me how Fanny is a joy to be around but that she has a “perpetual disgruntled” look on her face. Too cute! 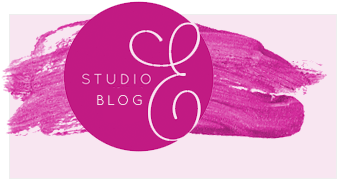 My client suggested a blue background and we collaborated on getting just the right shade. 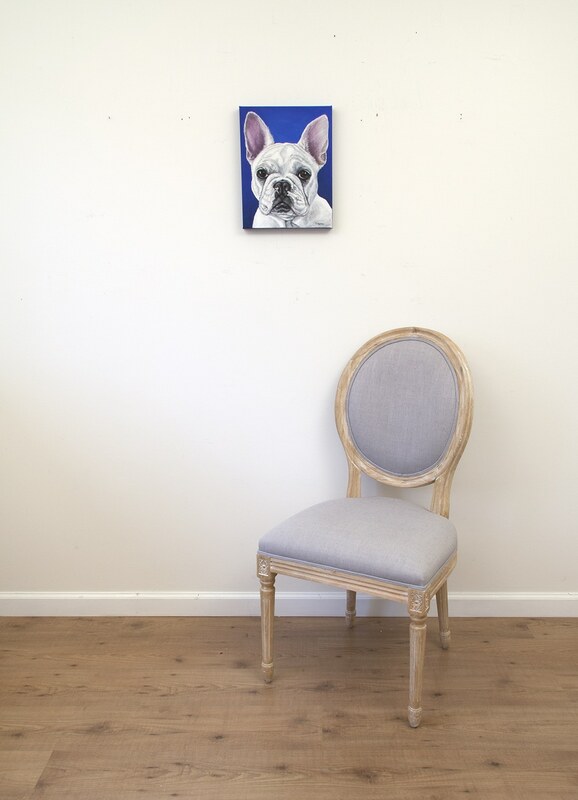 This deep blue fits really well with Fanny’s cream colored coat. Fanny was such a sweetheart to work on, and it’s always fun when a client wants a bold background. You can see a couple photos from the progress here and here. 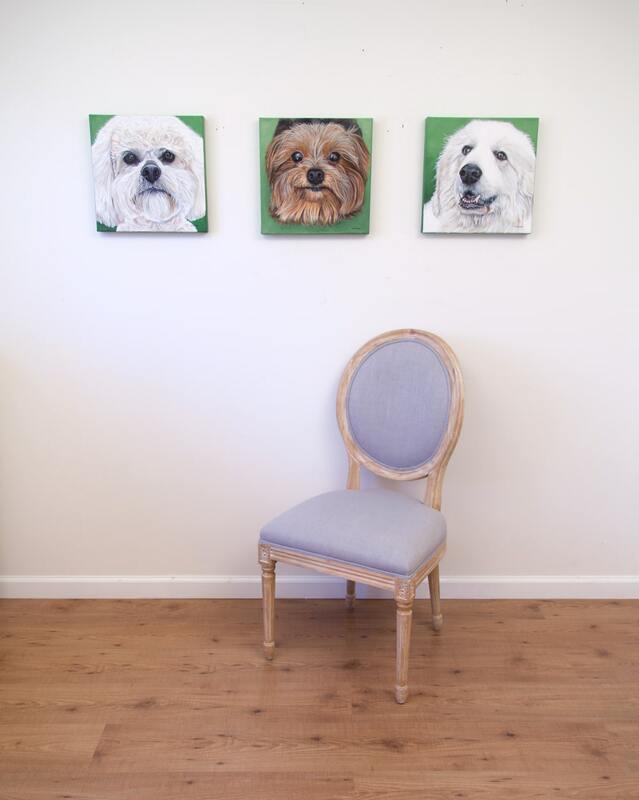 His wife is thrilled with this portrait of their darling dog. 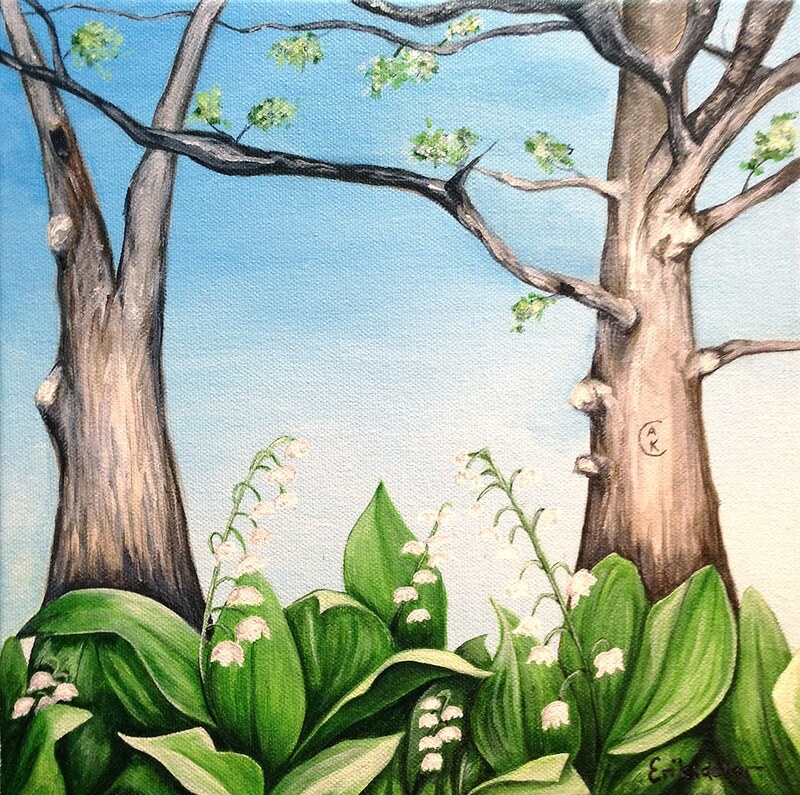 The painting hangs right next to the front door so they and all their guests can enjoy it. 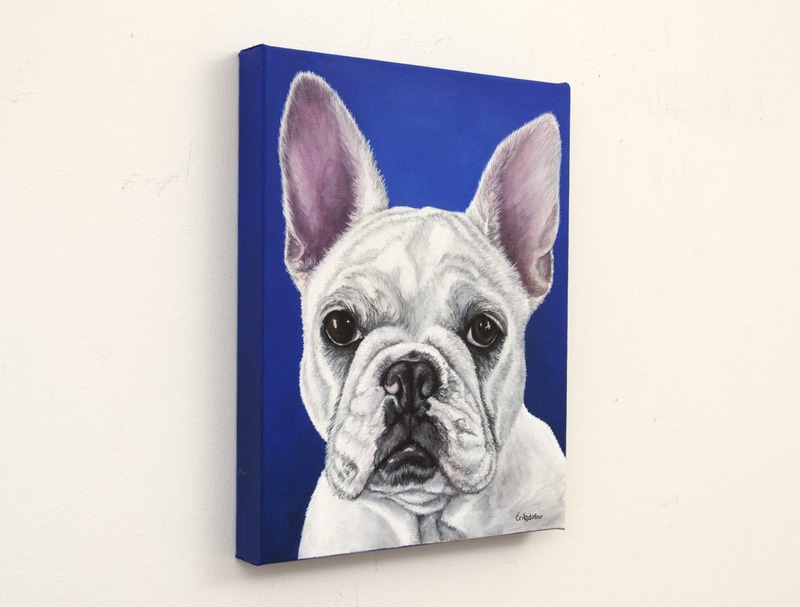 Fanny’s Portrait is painted on a 11×14 inches gallery wrap canvas that is 1.5 inch deep. All sides are painted with the background color. 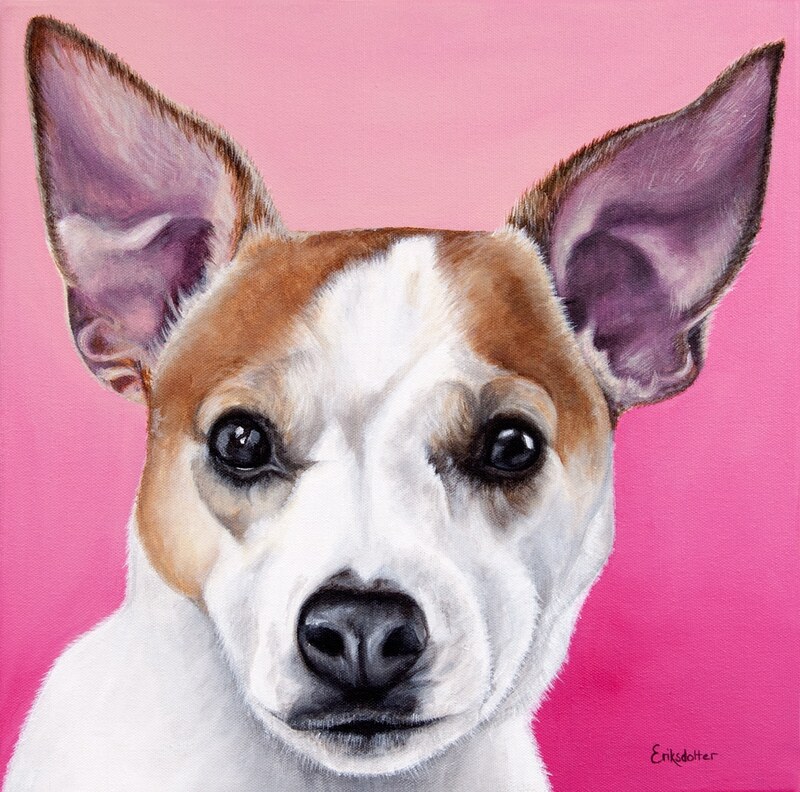 To view more photos of this and other pet portraits in the gallery, click here. 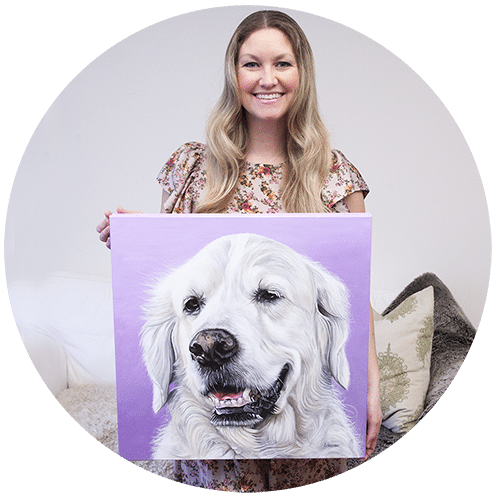 Contact me for a free consultation if you’re interested in commissioning your own pet portrait.